Celebrate togetherness by planning your trip to the most romantic honeymoon destinations in India. From scenic beaches, beautiful backwaters, hill stations, lush forests, 'icon of love-Taj Mahal, choose from the best honeymoon places in India. We at IndianHoliday, help you choose what suits you best. 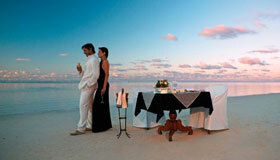 Browse through our extensive list of all inclusive honeymoon packages that lets you decide the most romantic time. Either relax by the sea or snuggle in front of a fireplace in the hill stations or cruise over backwaters or mesmerize in view of the Taj Mahal and many more experiences. Also, with the developing concept of destination weddings in India, the country has some of the world's most trending honeymoon places. While Goa, Kerala and Rajasthan has been the favorite of couples since long; Andaman, Himachal Pradesh, Darjeeling and even Ooty have quickly risen to win hearts of visitors. Also, the best destinations for honeymoon in India are known for their amazing experiences. 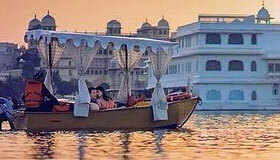 Houseboat cruise on backwaters, Ayurveda and spa treatments, stay at heritage hotels, ride on Toy Trains as well as luxury trains in India along with exciting adventure sports are some delights at the top honeymoon destinations in India. While marriages are made in heaven, memorable honeymoon happens in India, and with us you only have the best! Go through our list of some of the most popular honeymoon destinations in India 2019. 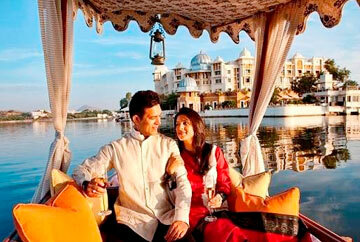 Known among the most beautiful places in the world, Udaipur is one of the best honeymoon destinations in India. The City of lakes with the backdrop of lush Aravalis has many delights. 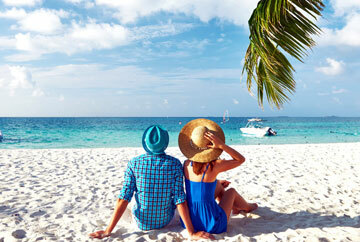 The land of scenic beaches, Goa is haven for romantic couples. Enjoying bliss of the Arabian Sea, watersports, heritage, culture, it is idyllic for couples to have wonderful time. Bliss beyond words make Kerala among the best honeymoon places in India. Backwaters, beaches, wildlife, hill stations and other experiences create an unforgettable time. 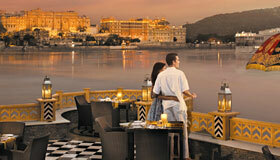 Royal charms of Jaipur have put the Pink City on the list of the top honeymoon destinations in India. Forts, palaces, gardens, markets, delightful food and stay at heritage hotels give enough reason. 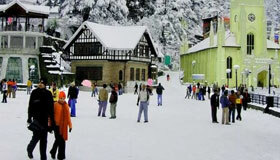 Nestled in the snowy peaks of Himachal Pradesh, Manali is perfect for couples. 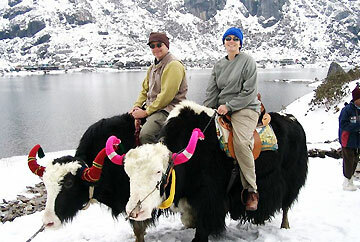 Plan a romantic holiday in Manali for beauty, bliss, adventure sports to create a memorable honeymoon in India. The scenic hill town of north east Himalayas, Darjeeling is one of the best places for a romantic honeymoon in India 2019. Ride the toy train, enjoy picturesque beauty and have memorable experiences. Heaven on Earth Kashmir is a beauty beyond words and is perfect for romantic honeymoon in North India. Explore snowy hills, lush valleys, adventure sports and other cherished experiences. A scenic town in Uttarakhand, Nainital is known among the best honeymoon places in India for visiting in 2018-2019. With snowcapped mountains in the backdrop, it is perfect for a romantic time with your partner. 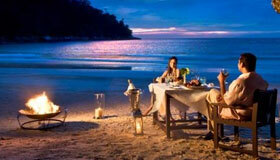 Ideal for a romantic getaway, the Andaman Islands are among the famous honeymoon destinations in the world. Revel in the scenic beaches, tropical forests, thrilling watersports, along with luxury resorts. Enveloped in the bliss of Himachal Pradesh, Shimla is listed as one of the most romantic destinations in India. Enjoy snow, pictorial beauty, along with wonderful adventures on your romantic getaway. Spelling of romance and cherished memories, Lonavala-Khandala are the picturesque hill towns in Maharashtra are also the favorite honeymoon destinations of the newlywed couples. Bask in the beauty and bliss. Queen of Hill Stations Ooty in South India perfect for family holidays. The delights include Toy Train Ride, tea and coffee gardens, boat rides, treks, and more.